Exactly one month ago at almost this time (8:43 AM) I was in flight over Hamburg, Germany, about to touch down. My program lasts for 10 months, so this means I am into my first ten percent of the time I’m going to spend here. If this were a race, my GPS watch would read the same thing it does when it buzzes at the ninety percent mark. I did a lot this month, and if I multiply that amount by ten, I will end up with a very full, full-filling time here! settle into the new living space. If it’s a dorm, like mine, this includes getting used to the morning cleaning routine so that one can take a shower without disturbing the house-keeper’s order and getting used to the kitchen etiquette and floor-mates so that one can enjoy meals outside of one’s room. figure out the local transportation. The best thing to do is navigate one time from “home” to the station/stop and one time from the stop back “home.” It’s okay to get lost; don’t be afraid to ask for directions/help. figure out other transportation. If a bike is available, figure out the routes to the Uni and make sure the bike is prepped for nighttime riding. Driving with lights is such a relief from the harrowing experience of the threat of not being seen by car drivers and other bicyclists (not to mention, driving without lights of a certain standard is illegal in Germany). attend orientation events. 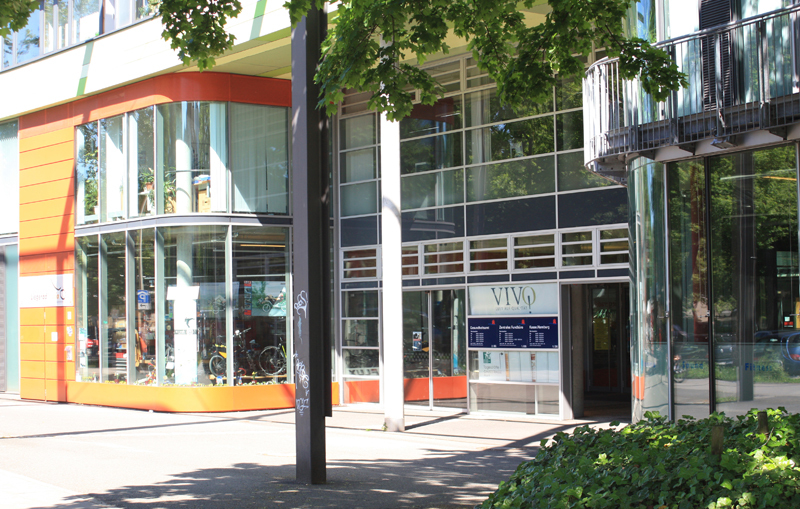 For me, the VDAC organizes a seminar within the first weeks of arrival so that students have a chance to get to know other scholarship recipients and learn from each other and from program alumni some of the key methods of initial survival in German culture and bureaucracy. Orientation events are also held by the universities for international students and first-time students. There are usually elaborate programs that one should try to attend at least a few events of. One of my favorite events wasn’t even university related, but rather involved a pub night with the other German Lit. MA students. do some initial traveling. While it would seem more advisable to settle into one’s new “home”-base first, the time before classes begin is the most free time one has (other than the semester break) and it helps to get a larger perspective of the country one is visiting, and the role one’s new city has within that space. (since I’m a runner) figure out at least two good routes for daily running. One can be an out and back course and the other a pleasant don’t-have-to-repeat-everything-on-the-way-back route. make plans of what to do over the coming months so that when classes and studies are not pressing, there’s something to do. recognize that there are good and bad days, psychologically, just like there are good and bad days with the weather. Try to see the positive in the bad days and soak in the good ones. For me, personally, I noticed that while the second half of this past month has been overall good, especially since classes started and I’ve been kept busy by schoolwork, I still wake up some mornings and wonder what I’m doing here, or whether I belong. I have learned to recognize that if I want to be here, I belong, and finding the feeling of belonging with other people comes with the time one leaves one’s room to interact with the other people in the living space, the other students in the classes, and the other people in the city. It’s only a matter of time before they become used to me just as I need to get used to them. This is an old post-office building near the university. With the ivy growing on it, it is thus far the most beautiful thing I have seen so far. … and as you can see, I’m trying to do this last thing regularly! Cheers. 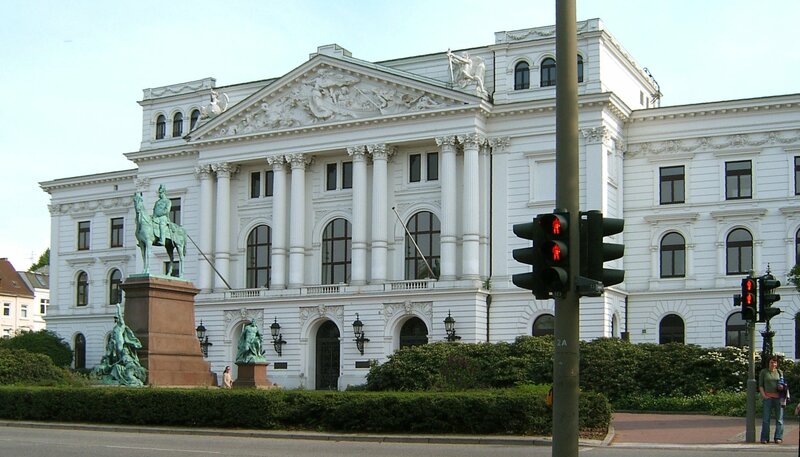 Today, I got official permission to live in the beautiful city of Hamburg. After a short sub-way ride and decent walk through some of Hamburg’s famous schietwetter, I made it to the building that hosted the multiple offices for important stuff. The only thing I was interested in there was the Wohnsitz Anmeldung, basically, residence permit. While waiting in line at the reception, I overheard the woman in front of me be told that she had a 2.5 hour wait. I was happy that the local chair-lady of the VDAC had made us an appointment. That is, I thought she made me an appointment until it turned out that only one was made for the other US student. I didn’t have one. Yet my German skills came in handy here (and some tips from my mother) and I started saying that I was a little annoyed about this and that I couldn’t understand it and that I hoped I wouldn’t have to wait now. I knew I had an appointment and I said I refused to have to come back again or wait. After huffing like that for a bit, I was told I was at the front of the line, given a form to fill out (to pass the time) and then asked to take a seat in the waiting area. That was all fine by me and I got set to fill out the form, not able to complete it before being called to a desk. [note: In Germany, as I’ve experienced it, most bureaucratic offices have systems where you go to a reception area, tell the person what you’re there (at the particular office) for, asked if you have all relevant forms, and then given a number. The numbers are based on first-come, first serve as well as based on which official will be dealing with cases like yours. There’s usually an electronic sign in the waiting room which has flashing numbers on it, and a ding usually reverberates throughout the room when a new number is called. The room to which one is called is also flashed, and it’s generally a very orderly system]. At the desk, I handed over my passport and my Mietvertrag (rental-agreement) and the nice young lady in charge of me got set filling out information online while I finished filling out the form. The Wohnsitzmeldung costs 10 Euro, but when it came time to pay, rather than handing it over to the lady, I was given a card and sent to a machine outside of the room where I inserted the card and paid the amount. It’s as if the German bureaucracy wanted to make it clear that the certain Beamtin was not the one handling my money… it was going straight to the state. Another thing that surprised me about this process was the fact that I was asked for my religious affiliation; specifically, I was asked whether and in what faith I was baptized. I noted my surprise to the lady and she told me that it had to do with tax purposes. I think that in the U.S., since state and church are completely separate, it doesn’t matter what religion you are when you apply for residence. About five minutes into the process, I was pleased to be handed a sheet of paper to look over for the accuracy of the info. It looked alright to me and I said so. Woo hoo. The other US student and I (we hang out quite a bit, though he and I didn’t arrive together today because I was running late) decided, after such a successful experience, we would take care of the last bit of bureaucracy while in this country. We had to get our “Aufenhaltsgenehmigung,” or “visas.” In Germany, one is allowed to stay in the country for up to three months without being a citizen. Any time after that, one must apply for permission to stay in the country. This is pretty standard across the globe, I fee, but I don’t know. I do know that it’s a bit of a pain to get an Aufenhaltsgenehmigung. In order to get the Aufenhaltsgenehmigung, one has to have a registered residence. That’s why we couldn’t do the visa until today. One also has to have a valid reason to want to stay in the country (either work or education). Often, this is a Catch-22, because in order to get work, often one needs to have permission to be in the country. In order to get that, one needs work… and so forth. Have all the documents that show you’re allowed to be in the country (for study: matriculation document and proof of funding of studies). For me, this meant having proof of the VDAC scholarship. Have a passport picture for the final product: the visa (this is something unique to Germany and (?) Europe. In the U.S., pictures are taken at the relevant offices. In Germany, one is expected to arrive at the office with ones own photo. There was a machine outside the office). My fellow U.S. American and I were able to complete the first steps pretty easily. 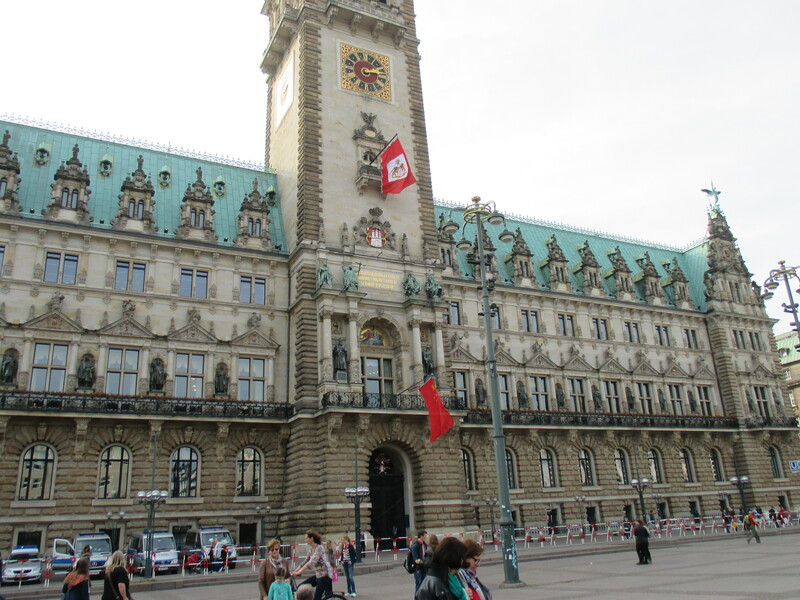 The Bezirksamt wasn’t far from the Ratshaus (townhall), and the Ratshaus was where we were supposed to go. Yet, after that it went pretty down hill because he (my fellow American) didn’t want to wait what seemed like more than an hour, and I didn’t have my Versicherungsvorzeichnis. I will have to come back to the office at some point and complete the process. Oh well. The lady at the reception had something up her… anyway, so I don’t mind coming back to deal with someone else. I burned off some steam going to IKEA (which, like I mentioned before, isn’t far from the Alona subway station) and drinking some free coffee. Now, I have to get to class.